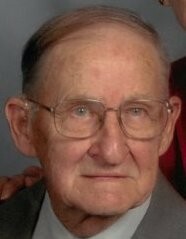 Lowell B. Smith, 92, passed away on Sunday, September 02, 2018 at Baptist Health Floyd Hospital in New Albany, Indiana. He was born at home on December 27, 1925 to the late Lowell D. and Tina P. Smith in Sellersburg Indiana. 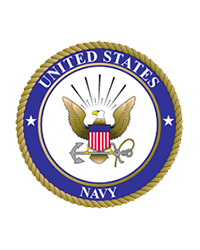 Following his service in the United States Navy during World War II, he graduated from Michigan State University and began a long career in the field of special education. For 34 years he served the New Albany-Floyd County Schools, initially as a speech and hearing therapist. The field of special education expanded and Lowell's vision and leadership led the transformation of special education services in the NAFC Schools. He retired as Director of Special Education in 1988. Lowell was an Instructor at Indiana University Southeast and he held board positions with the New Albany Library and Bridgepoint. He volunteered in many capacities with Bridgepoint/Good Will Industries for over 50 years. Lowell was a member of the Speed Memorial Church, the Propeller Club and the Civil War Round Table. Volunteering at the Howard Steamboat Museum in Jeffersonville, Indiana, where he held the position of Docent, allowed Lowell to share his passion for the river and steamboats. He married Doris Jeannette Jackson on September 5, 1948 in Speed, IN. For almost 70 years they shared their love of travel throughout the United States and Europe. She survives as does his son, Gregory Smith (Luanne) of Louisville, Kentucky, his daughter, Jean Graff (Keith) of Wilmington, North Carolina, his sister Marjorie Fore (Del) of Louisville, his grandchildren, Emily Graff (Allie Wetzel), Benjamin Graff (Suzanne), Jeffrey Smith, Chloe Heath (Alex), Julia Smith, as well as three great grandchildren, Tyler, Josh and Zach Skolozynski. He was preceded in death by his sister, Wilma Jean Murphy and his brother -in-law, Robert Murphy. Visitation will be from 3:00 P.M. until 8:00 P.M. on Thursday, September 6, 2018 at the Garr Funeral Home in Sellersburg. A funeral service will be held the next day for family and close friends with interment to follow at Sellersburg Cemetery. In lieu of flowers, memorial contributions can be made to the Speed Memorial Church (328 US-31, Sellersburg, Indiana 47172), to the Howard Steamboat Museum (1101 E. Market Street, Jeffersonville, Indiana 47130) or to the Crusade for Children (520 W. Chestnut Street, Louisville, Kentucky 40202).